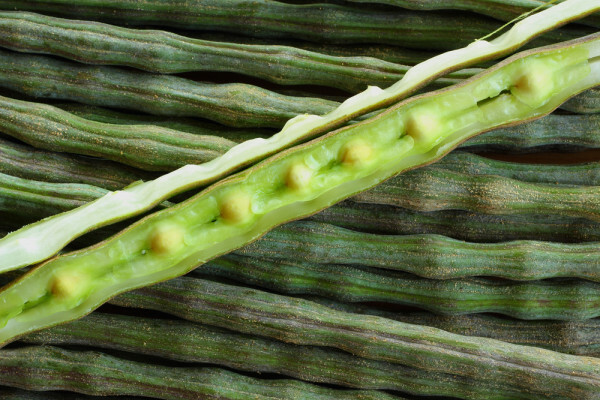 Moringa oleifera is a tree brought from the mind of God to the hands of man. It was recognized by the National Institutes of Health as the Botanical of the Year for 2007, and praised again in 2011 and 2012. It is valued worldwide for its ability to treat over 300 diseases.It has the ability to retain high concentrations of electrolyte minerals, allowing it to stay internally hydrated in the driest of conditions. Africans have honored it with names that translate to: “Never Die,” and “The Only Thing that Grows in the Dry Season,” and “Mother’s Milk.” I think it’s safe to say that this plant has saved more lives in 3rdworld countries than any other. Moringa (Moringa oleifera) Besides being a high-protein food, it contains almost 4 times more potassium than bananas (1,324mg), 2 times more vitamin A than carrots (16,3 mg) and 2 times more fiber than oats (19.2 g) . * It has antimicrobial action, disinfection properties . One gram horseradish tree contains more B12 than steaks, more vitamin A than eggs and more calcium than milk. 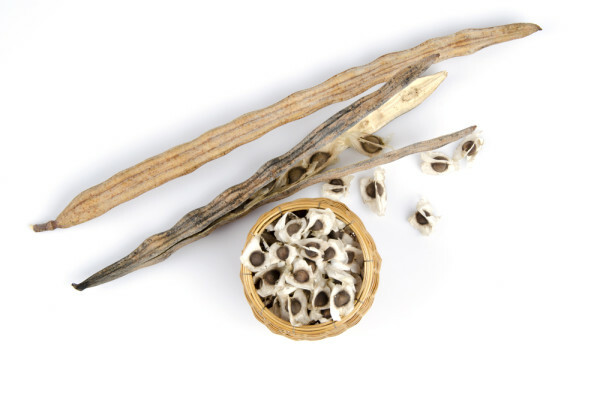 Called Moringa Olifiera “Tree of Life”, “Tree of Immortality,” “Miracle tree.” The plant lowers blood pressure, stimulates the metabolism, clean toxins and strengthens immunity system. Anti-aging properties: rejuvenates dull, tired and aging skin. Antioxidants and nutrients help fight free radical damage that can cause skin tissue damage and lead to the formation of wrinkles, helps improve the appearance of wrinkles and prevents sagging of facial muscles.It lant hormones called cytokinins, which help promote cell growth and delay damage and destruction of skin tissues.Vitamin C stabilizes collagen and helps reduce fine lines and repair damaged skin cells. Moringa Oil Properties is a very good help for dry skin. It is good for conditioning dry, chapped lips. It softens dry skin and maintains moisture in the skin. It’s beneficial to treat rough, dry skin conditions like dermatitis, eczema and psoriasis. 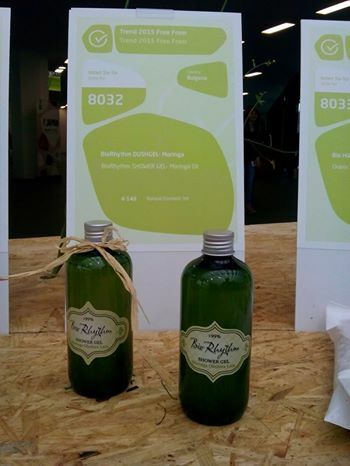 As a good memory of BIOFACH 2015 and our nomination for trend award with BIORHYTHM- MORINGA OLEIFERA LAM. 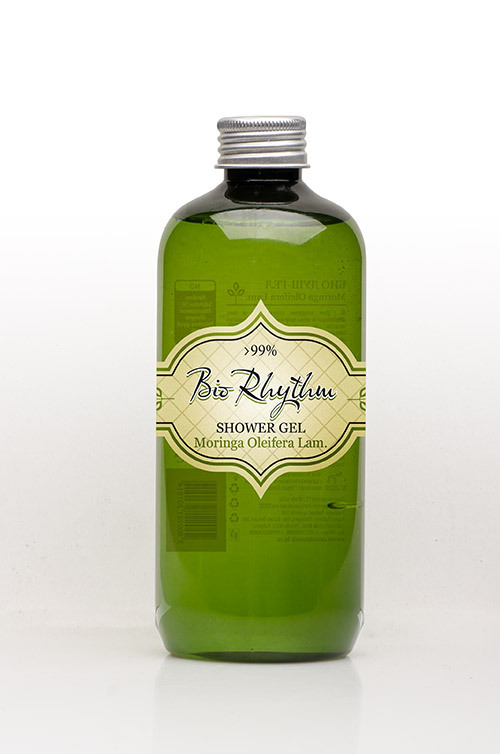 we followed nature and created this precious shower gel to try give all those miracle properties a new way to reach our clients and everyone else willing to try the power of nature. Why we like Argan Oil so much?